We are going to present before you some interesting facts about tiger sharks. It is one of the most feared sharks in the ocean. People are afraid of it. The name "tiger" also adds to that reputation of its being a dangerous animal. Let us learn some interesting info about it. The normal color of the tiger shark skin is blue or light green or a shade between the two. The lower side of the shark, the underbelly, is generally light yellow. So, there is a contrast between the upper and lower side of the torso. 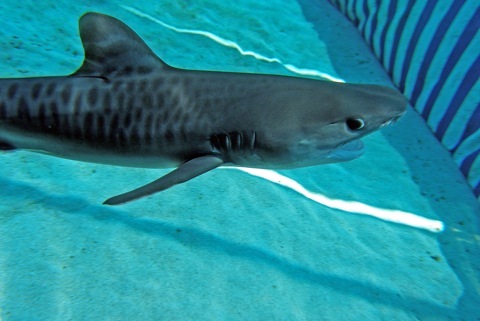 Tiger sharks are known for tiger like stripes upon their body. It is most visible in the juveniles, but it fades with maturity. The contrasting color of the upper and lower side of a tiger shark helps the animal to camouflage in the sea. During day time, the sea water looks bright near the surface. The deep sea bottom remains darker. So, if one sees from above sharks dark upper side will make it blend with the dark background of the water below. The opposite effect can be observed from the lower side. 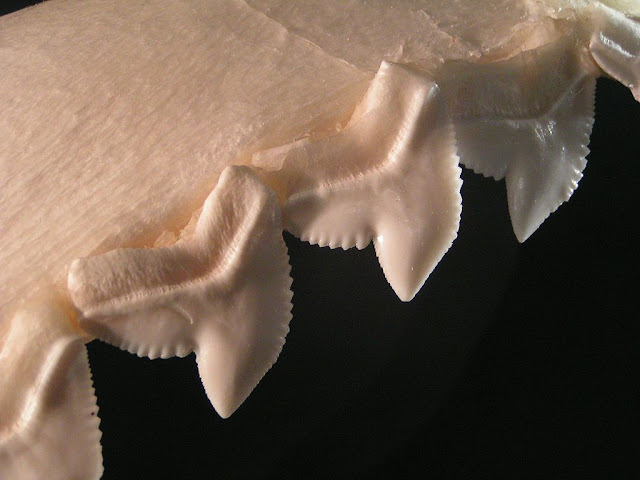 Tiger sharks have calcified jaws and teeth. It makes the jaws and teeth stronger. It is necessary to withstand the tremendous bite force of these jaws. Sharks have two types of teeth – for cutting and for grabbing. Generally, the upper jaw is for cutting and the lower jaw is for grabbing and holding. But the tiger shark's teeth are different because both the jaws contain identical teeth. 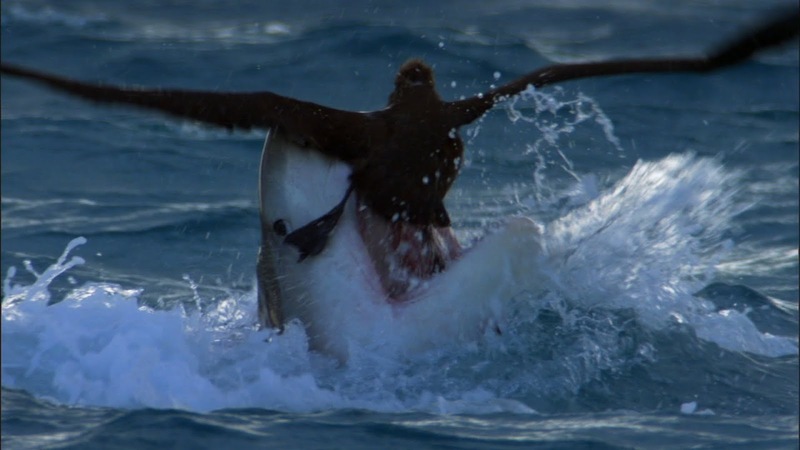 The jaws of that shark can generate immense bite force. Marine scientists have measured that the bite force is around 3 ton per sq. km. How many teeth do tiger sharks have? There are 24 teeth in the mouth of a full grown tiger shark. But often these sharks tend to lost one or more teeth during haunting. So, if you try to count you will may find one or two missing. The tiger shark tooth is peculiar in shape. It is partly serrated. The tooth has a saw blade part used to cut tough skins. Tiger Shark is one of the largest species of fish in the world. It ranks among the biggest sharks in the ocean. In average size, only whale sharks, basking sharks and the great white is larger than them. It is surprising to see how big tiger sharks do get in the wild. 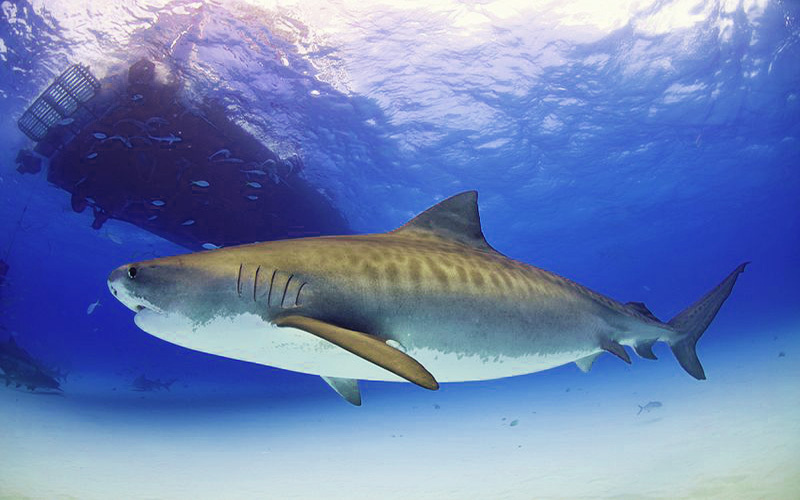 Generally the length of tiger shark varies from 11 ft to 13 ft with the body weight between 850 to 1400 lb. The biggest tiger shark ever recorded was caught near the coast of Australia in 2015. The specimen was 18 ft and 1 inch long. Some people named it as the “world record tiger shark”. Stories of a huge tiger shark seen by the fishermen in the oceans are not uncommon even today. So, there could be much larger specimens of the shark in the oceans. 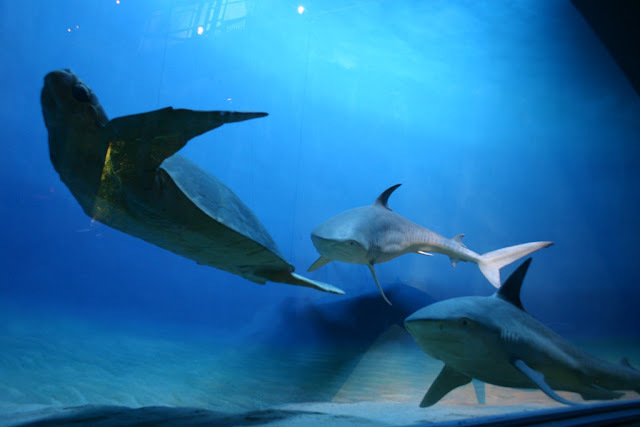 Tiger Shark Habitat – Where do They Live? 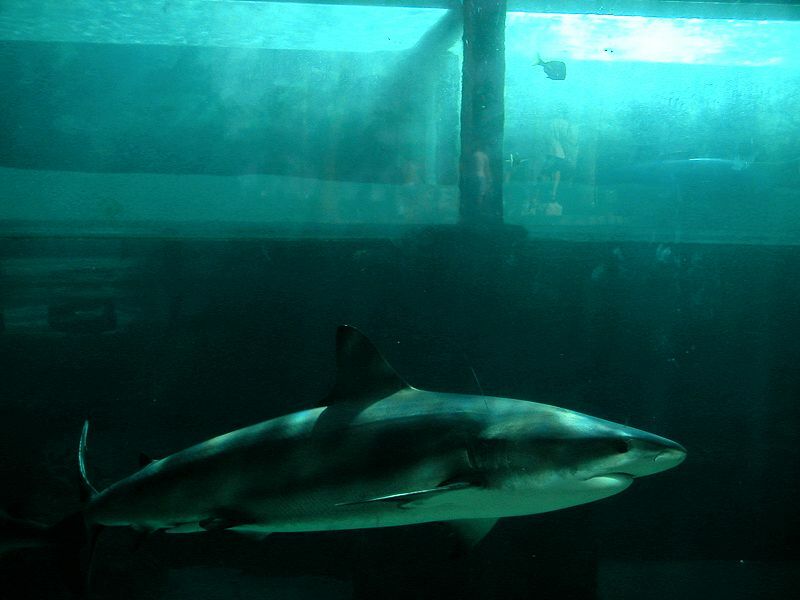 Most requiem sharks love to live in the tropical and sub-tropical waters of the oceans. Tiger sharks are no exception. They like the places where the water remains warm round the year. 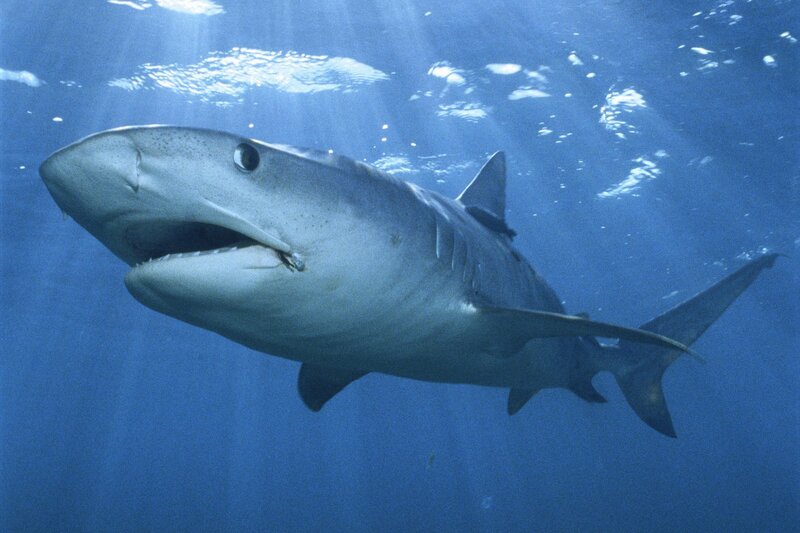 Tiger sharks habitat can be found in the oceans near the coast of Australia, Japan, china, and Africa. There are some in the Gulf of Mexico and the Caribbean Sea. They are common site in the seas of Indonesia and India. As these sharks are big animals, they do not like to come to shallow waters. Generally, the shark swims in the depth of 1000 to 3000 ft.
Tiger sharks of Hawaii are different from their brothers living elsewhere. They often come to shallow waters. Sometimes, the shark comes near the coast and on the reefs at a depth of 10 to 40 feet. 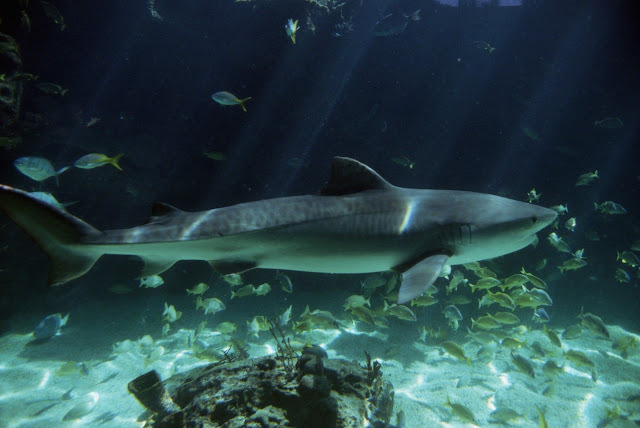 Tiger sharks eat everything that moves under the water of the oceans. Different types of fish, crustaceans, sea birds, sea snakes, turtles, rays, etc are in its diet list. They also attack and eat other types of sharks. Marine mammals like dolphins, seals, dugongs, sea lions are also present in a tiger shark's diet chart. 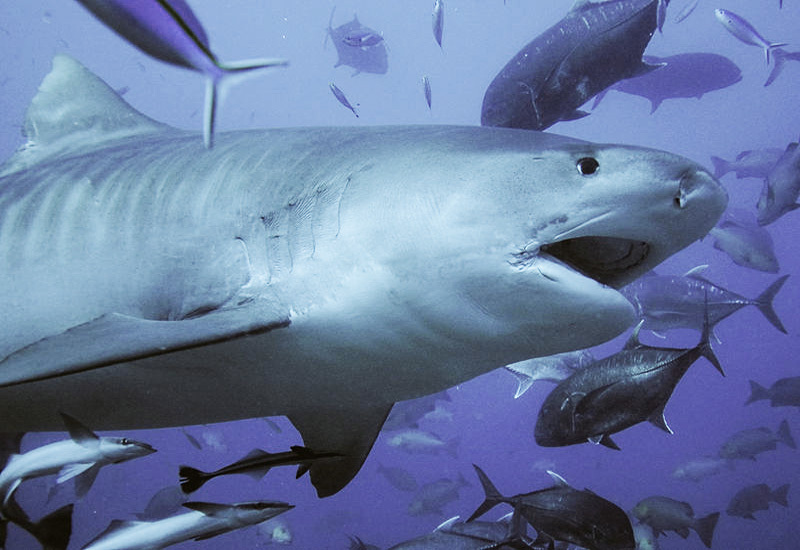 Tiger sharks are cannibals and they often eat juveniles of their own species. Sometimes, bigger members even kill smaller adults to feed on them. Dolphins always try to avoid those areas of the oceans where tiger sharks live. They are intelligent enough to understand the threat beforehand. Tiger sharks often eat junks thrown in the seas from the boats. All sorts of junks are found in many dead shark's stomach like wood chips form boats, bottles, boxes, plastic packets etc. 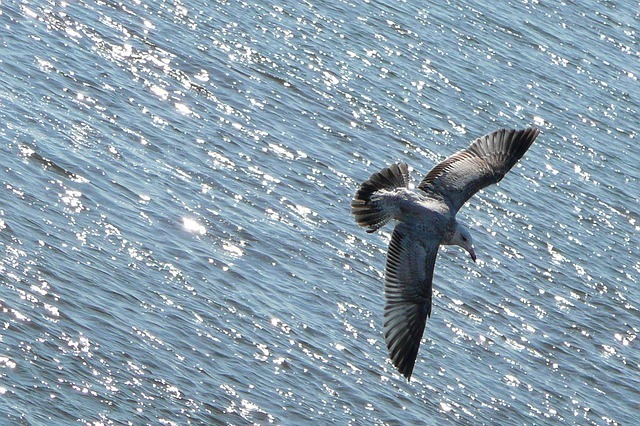 Due to their habit of eating garbage thrown into the sea they have a nickname of "garbage can of the sea". Not a good nickname for a "tiger". 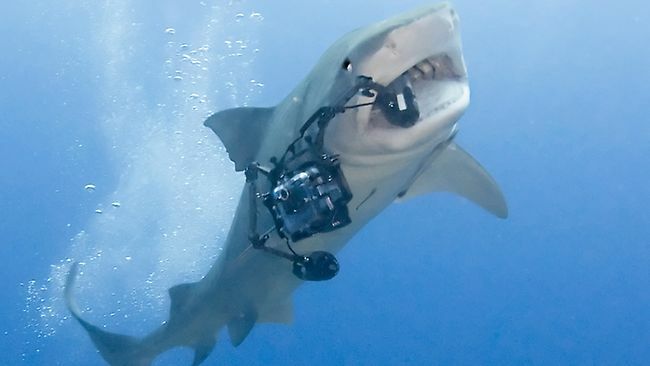 Tiger sharks love to eat. They can eat constantly even with a full stomach. They love to haunt and eat everything. Sometimes tiger sharks haunt whales in groups. They prefer ill or injured whales as their target. How do Tiger Sharks Haunt? Tiger sharks are apex predators. They are stealthy haunters just like land tigers . The color of their skin helps them to camouflage in the dark, deep oceans. They come slowly to the unsuspecting prey. The shark is capable of speed bursts to catch the alarmed prey. Tiger sharks actually move very slowly. The aim is to not alarming the target. Once they came closer to their victim, they become lightning fast. Tiger sharks are aggressive in nature. Because of their habit of eating everything they tend to attack more. That is why intelligent animals like dolphins and dugongs try to get away from them as far as possible. Do tiger sharks haunt in packs? These sharks are solitary creatures. They tend to live and haunt alone. Yet, during the mating seasons they often roam in packs. Sometimes, they also haunt in packs if the prey is as big as a whale. April is the beginning of the season of mating for these sharks. It continues to the month of May. In the Southern hemisphere the mating season is November to January. The fertilized eggs are carried inside the body of the female shark. The gestation period is 16 months. They give live birth in the month of April to June. 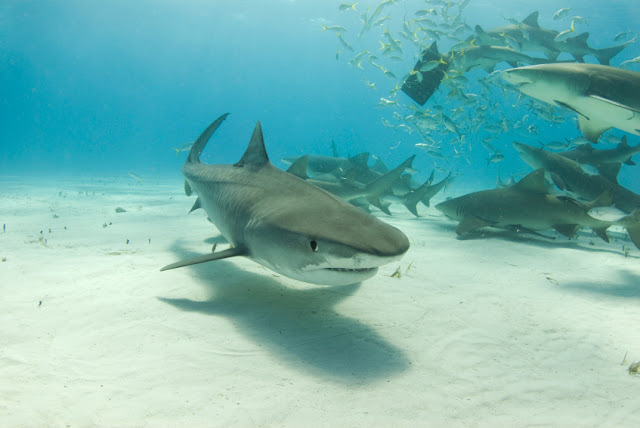 The female tiger sharks mate for once in only three years. It is due to the long gestation period. Tiger sharks give birth to many puppies at a time. The number can be as many as 80. But most of the time it is limited to 15 to 20. A baby tiger shark is small in size. There size ranges from 20 to 30 in during the time of birth. They becomes mature after becoming 7 to 8 ft long. Here is a tiger shark video where the shark attacks a sea bird (albatross). It is amazing ! Tiger sharks are dangerous to humans. They are aggressive predators and are never afraid of attacking large animals. That is why there are many incidents of tiger shark attack in the recent past. 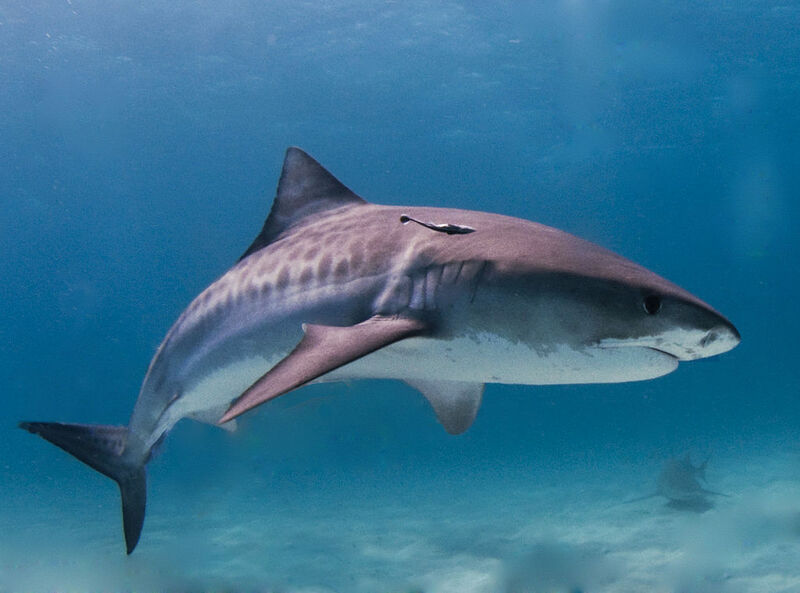 Tiger sharks often bite humans in many places.That is why they are the 2nd most dangerous shark just after the great white. Most of the tiger shark attacks from 1958 to 2014 happened in United States. Australia is in the 2nd place. The islands of Hawaii have some incidents of tiger or great white attacks. These sharks generally do not attack the divers swimming side by side with them. Most of the attacks took place near the shore upon the normal swimmers without any suit. All tiger sharks attacks are not fatal to humans. In most of the time, the animal bites in the leg or hand of the victim and runs away. Only 15 to 20% cases of the attack had resulted in death. 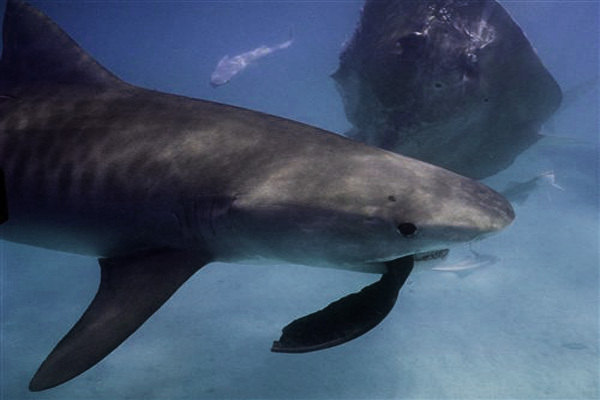 Every year 3 to 4 tiger shark bites take place in Hawaii. It is due to the fact that sometimes these creatures come close to the shore or river mouths. Despite of having records of unprovoked attacks, these incidents are not too many. Tiger sharks are not our enemy. Most of the time they tend to avoid humans altogether. Every year thousands of tiger sharks are killed for their skin. Thousands were killed too to boost the tourism industry. Here are some more tiger shark pictures for shark lovers. I hope you will love these images. Want to get some excellent shark wallpapers ? What about checking some shark coloring pages ? Tiger Shark's scientific name Galeocerdo cuvier refers to its genus “Galeocerdo” which is an ancient group of requiem sharks. There were 12 species in the genus but only one, G.cuvier, the Tiger Shark is alive today. Tiger sharks have a very powerful nose that can detect the smell of the prey from far. It has such strong sense of smell that it can detect one drop of blood in 1000000 drops of water from a quarter mile distance in the water. These sharks can see in very dim light. There pupil dilates and contracts to control the amount of light input in the eyes. Every living animal generates some electrical field. These sharks can detect that mild electrical field. There is special organ for it named as the ampullae of Lorenzini. 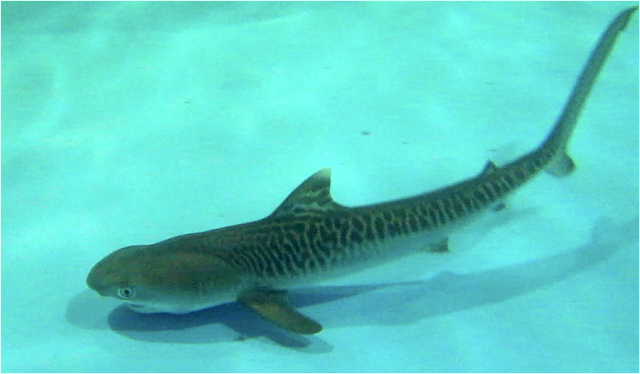 The lateral line that runs through their back from head to tail helps the tiger sharks to detect vibration in the water. They can detect its intensity and direction. It is most beneficial to detect hidden or injured prey from far. The tiger sharks also have excellent hearing. There ear is internal which helps them to detect sound waves in the water. Tiger sharks are migratory in nature. It is observed that they travel thousands of miles each year following the warm ocean streams. Lifespan of tiger sharks is about 50 years in the wild. But it is only an estimate as there is no concrete evidence regarding this matter. There are no regular tiger shark predators in the sea because they themselves are apex predators – living in the top of the marine food chain. 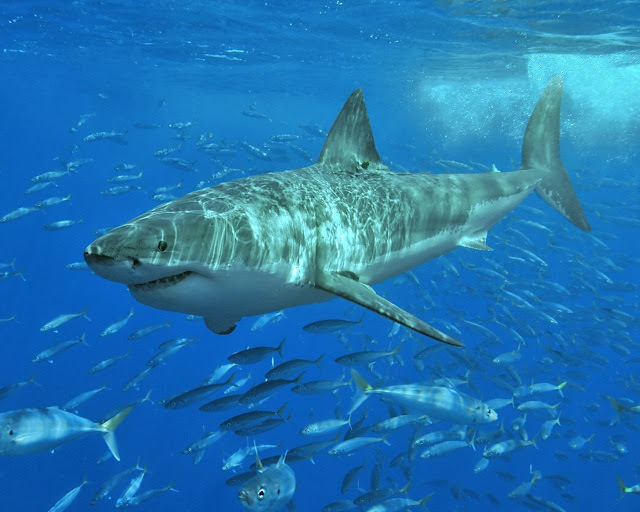 But the juveniles are not free from being attacked by other sharks. Even some tiger sharks themselves eat their young. Killer whales or Orcas are also known to be a predator of small tiger sharks. In native Hawaiian culture tiger sharks are sacred. They call them na aumakua or the spirits of their ancestor. It was a belief there that by eating the eyes of the tiger shark one can get the vision to see the future. The liver of a tiger shark is full with Vitamin A (retinol) which is beneficial for our eyes. It is one of the reason fishermen kill that animal. Indiscriminate killing of has made the tiger shark a near threatened species. There is no worldwide ban to kill them for profit. So, there is no protection today. If it continues in the same way, they can also become extinct soon. So, always extend your helping hand to save these graceful animals from being disappeared from our oceans. I know 50 facts are a lot for you. If you are patient enough to read the post to this point than I can recommend you some other interesting related articles. You can check the article about brown banded bamboo shark , lemon shark or dogfish ( a type of small shark). Feel free to add your valuable comment about the article. Another interesting infographic about largest sharks is also recently published.